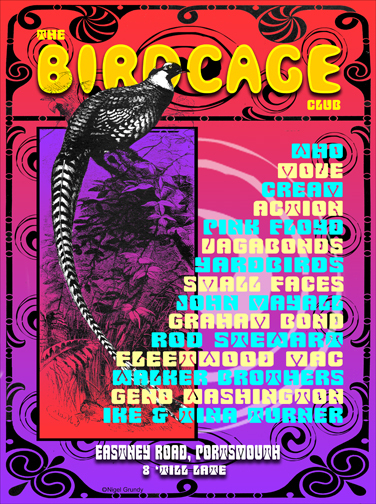 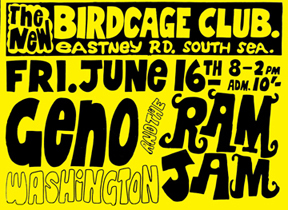 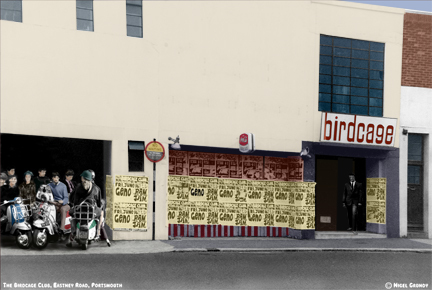 The Birdcage Club with Geno Washington posters, I took the photo around 1965. 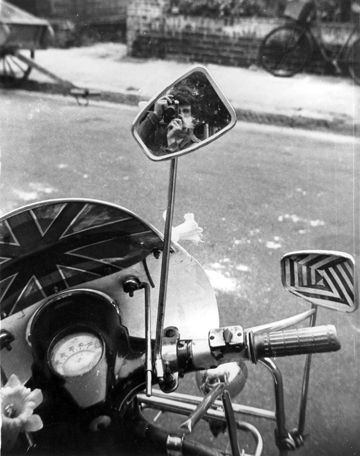 1960's self-portrait in the mirror of Nick Voden's Li 150 widestyle Lambretta. 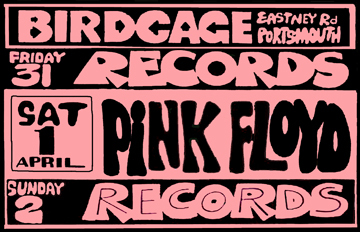 LP sleeve notes by Peter Meaden. 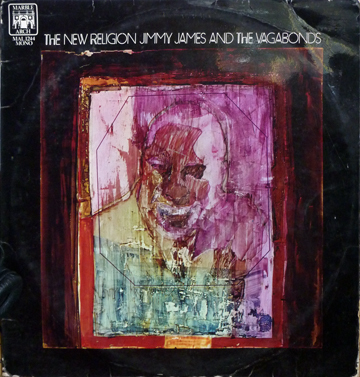 Jimmy James and the Vagabonds at the Birdcage, c.1965. 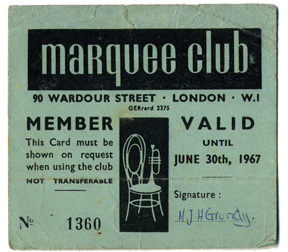 So began the sleeve notes to the 1966 album,' <?xml:namespace prefix = st1 ns = "urn:schemas-microsoft-com:office:smarttags" />London swings "Live" at the Marquee club'. 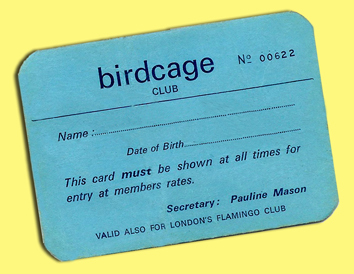 Turn the album over and on the cover photo-montage a banner with 'Birdcage' written across it is being waved an enthusiastic crowd from Portsmouth who had travelled by coach to Soho to fill the famous Wardour Street club. 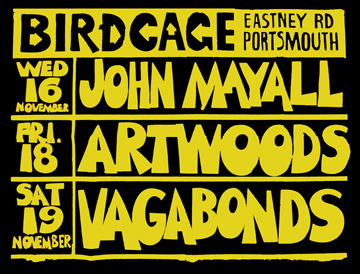 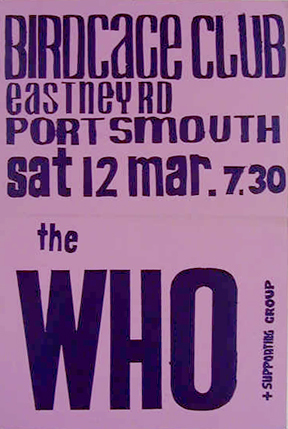 The ocassion was a live recording by Jimmy James and the Vagabonds, and the Alan Bown Set, two of the most popular groups that ever played at Portsmouth’s Birdcage Club. 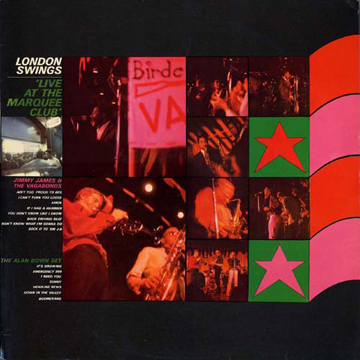 LP cover of 'London Swings 'live' at the Marquee Club'. 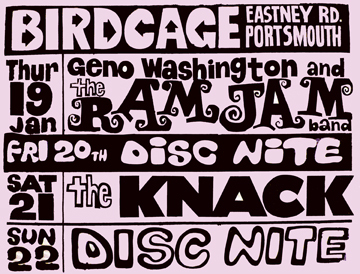 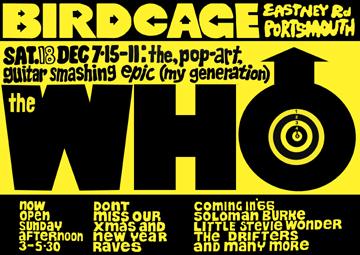 I met up with Jimmy James at the Birdcage reunion at South Parade Pier in 2000. 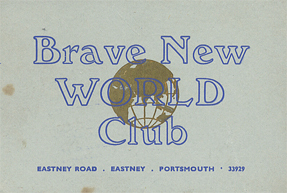 When it was all over it became The Brave New World.